Homemade chili is a comfort food – but it’s far more than that. Loaded with lots of great nutrition, from fiber to protein homemade chili is a flavor powerhouse. With just a few simple, inexpensive ingredients and a little bit of time, you can make delicious, homemade beef chili. 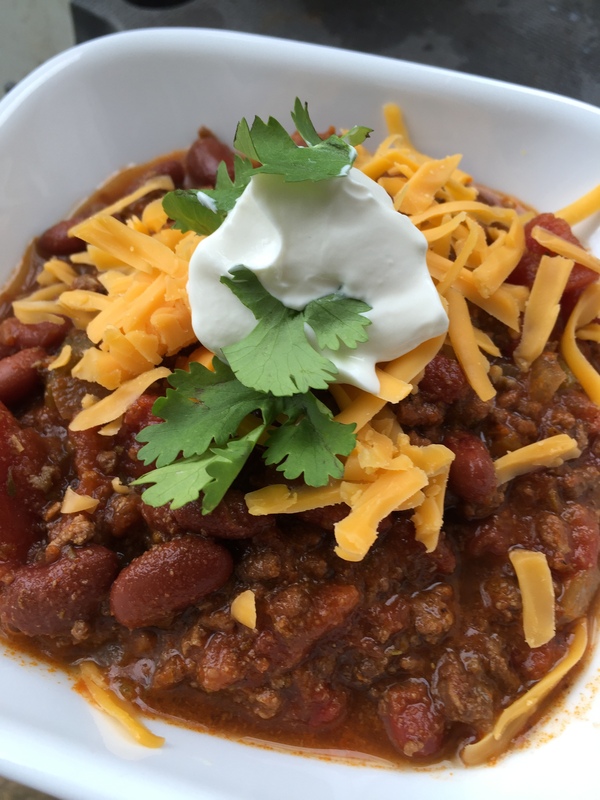 Check out how to make this simple beef chili recipe – it’s a great way to feed your family and friends, and can even be stashed in the fridge for a few days, so you’ll have a quick supper or lunch at anytime. Like me on Facebook and follow me on the Twitter to see what we’re doing all the time! In a large Dutch oven or stockpot over medium heat, brown the ground beef. Drain the ground beef of all the extra oil, and if you'd like, rinse it well under hot water. That removes even more of the grease. It's not necessary, but does remove extra fat and calories, and there's enough flavor in this recipe that you won't miss it. Return the drained beef to the same pot, and add the onions, peppers and garlic. Cook, stirring occasionally, until the vegetables are fragrant. Add all the remaining ingredients to the pot. Bring pot to a boil, reduce to a bare simmer, and simmer for between 30 minutes (minimum) to 2 hours better! ), stirring occasionally. Serve with your choice of garnishes. This makes a big batch - plenty to use for meals later in the week, or to freeze in individual portions! This makes a big batch – plenty to use for meals later in the week, or to freeze in individual portions! And of course, subscribe here on YouTube, ask a question or leave a good comment below, and THANK YOU for stopping by!